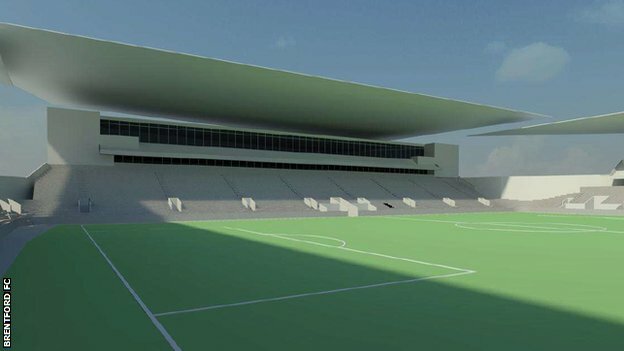 Delighted to see that plans are forming for the new Brentford ground, which will hold 15,000, a sensible sized ground. Should Brentford reach the championship in the next few seasons, which is likely, it is very much a southern based division. Likely visitors to the new Lionel Road stadium would include Millwall, Charlton, QPR, Fulham, Reading, Southampton, Watford, Crystal Palace and maybe West Ham. Given some other big names, it is likely that 50% of games could be sell-out crowds and few crowds would be under 8,000. In other words the ground will host atmosphere as well as games. The ground it seems could be ready in time for the 2016-17 season. Great plans, great idea. I feel more positive about the future of Brentford than at any time in the last 50 years of my support. Maybe Brentford might be due a new mascot then?